sometimes, someone pesters you so much about something, that you have to cave in and my mom is relentless about cheesecake. 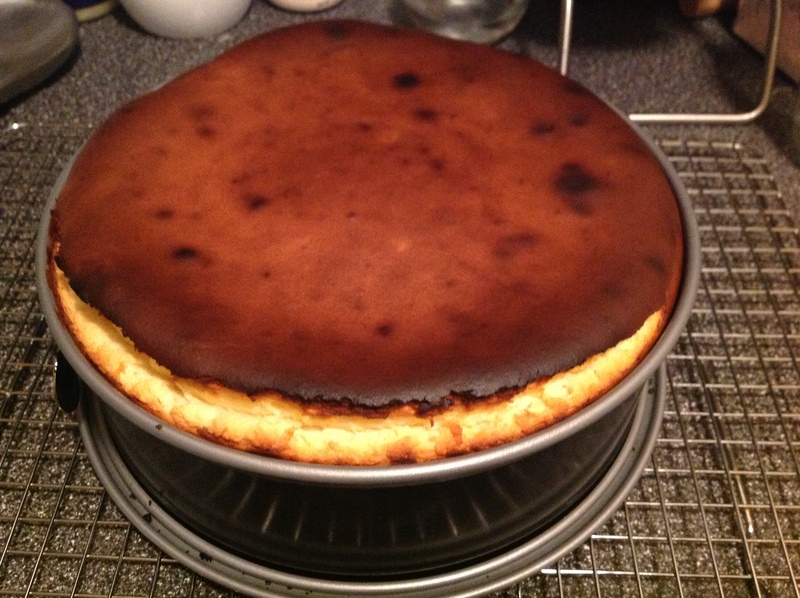 for a while now, i’ve been making a version of new york cheesecake, that is just cream cheese, sugar, eggs and vanilla cooked in a water bath. 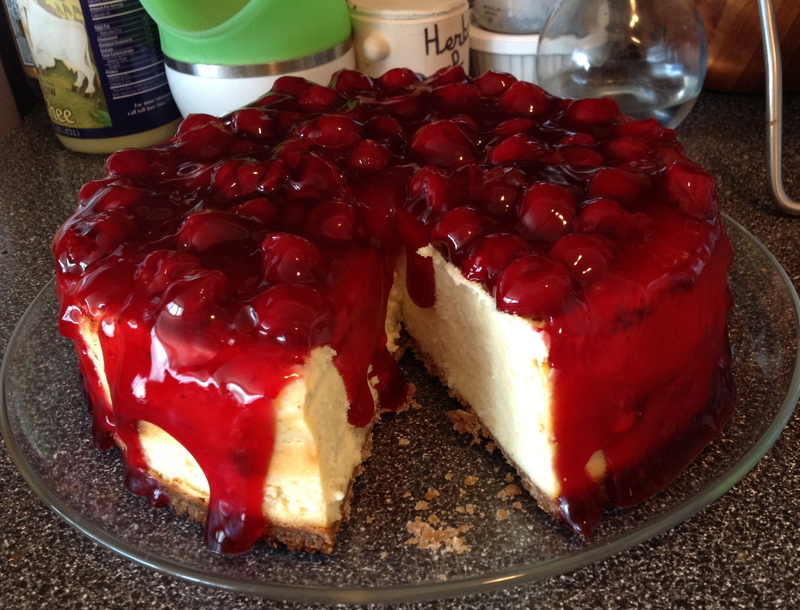 but i was waxing nostalgic for the cheesecake that i grew up with. there’s no water bath and a just touch of flour for structure. it does, however, call for scorching high temp baking which means you have to pay close attention (more on that later). this recipe was already in use in our extended household, before i was born. it came from Gourmet magazine a few decades ago and claimed to be the secret Lindy’s recipe including their cookie crust. i first became acquainted with the recipe, as a stained page torn from Gourmet magazine, later as that was wearing out, it was typed up and the sheet of paper stored in one of my nana’s cookbooks. then, last year, i found it again in Saveur magazine. my mom says there was a ¼ cup of heavy cream in the original recipe, as is in this latest version from Saveur, but over the years we must have started to leave it out, but i don’t know how long ago. I’ll call the heavy cream optional, now. I also stopped making the original cookie crust, when I first went gluten free and came up with my own crust made from crushed gluten free sugar cones which is very similar. 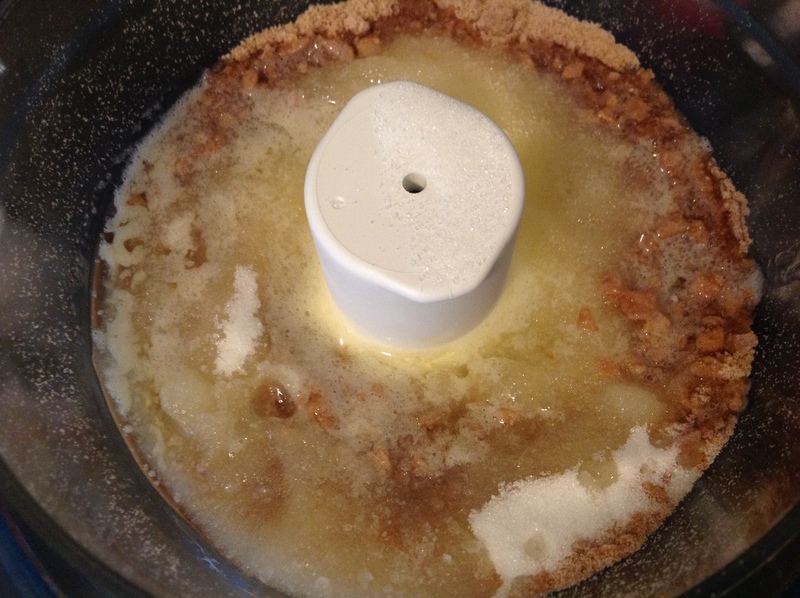 of course, now i could probably make a nice cookie crust and may give it a whirl, some time. 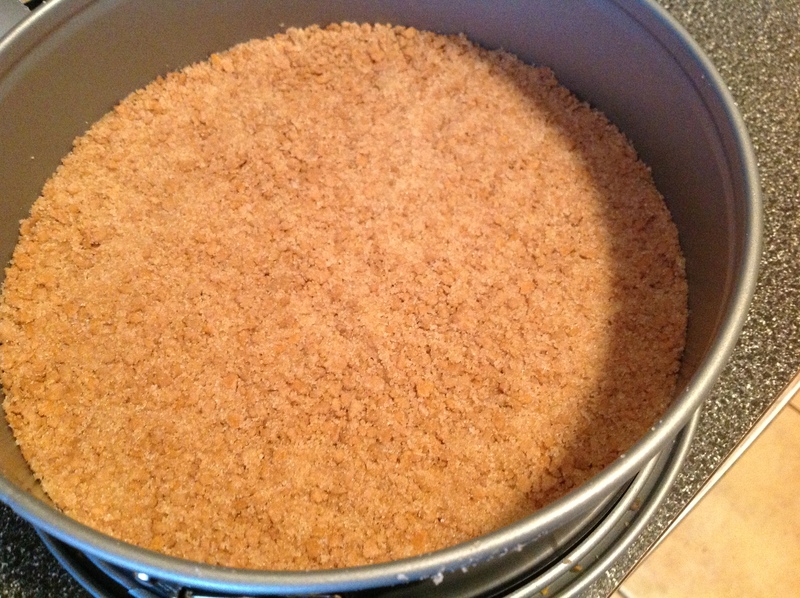 but the sugar cookie crust has that nice deep flavor that only demerara sugar can impart. 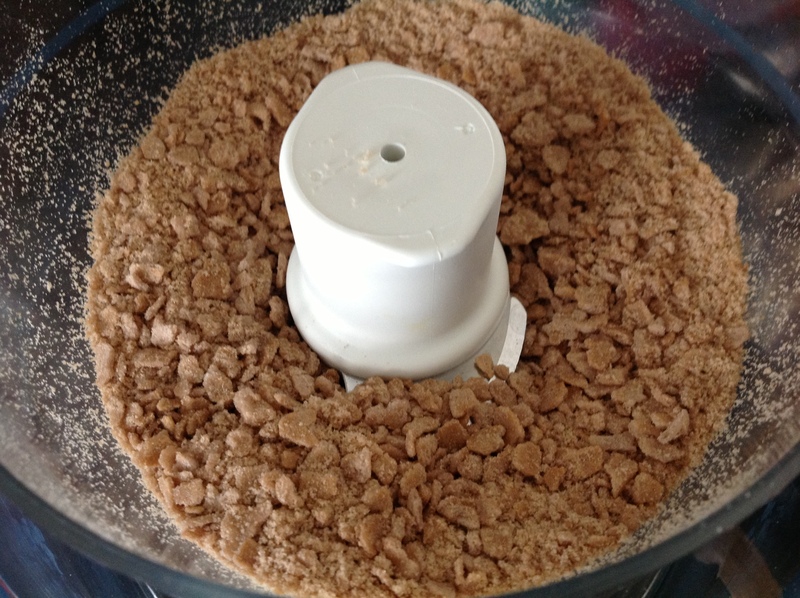 Make the crumb crust; Stir or process together the crushed cones, butter, sugar and salt. 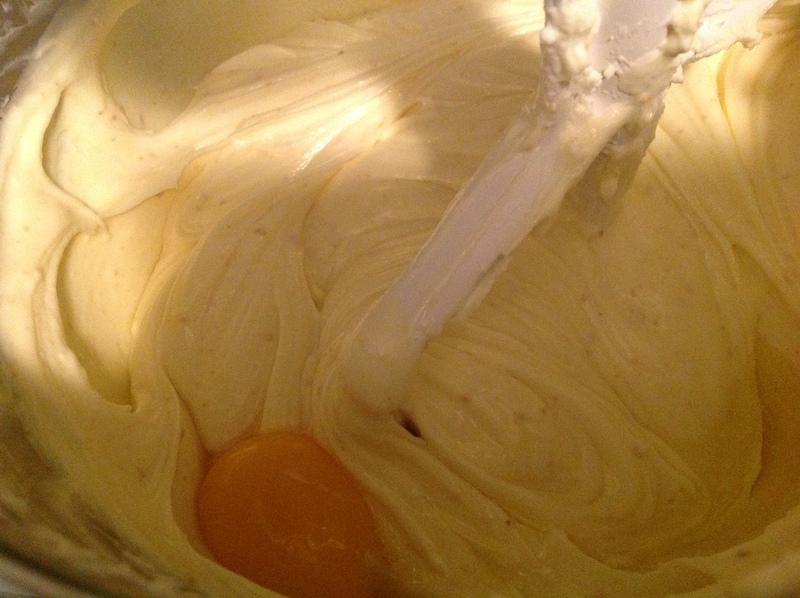 Press processed mixture onto the bottom of a buttered 24-centimeter (9 inch) spring form pan. 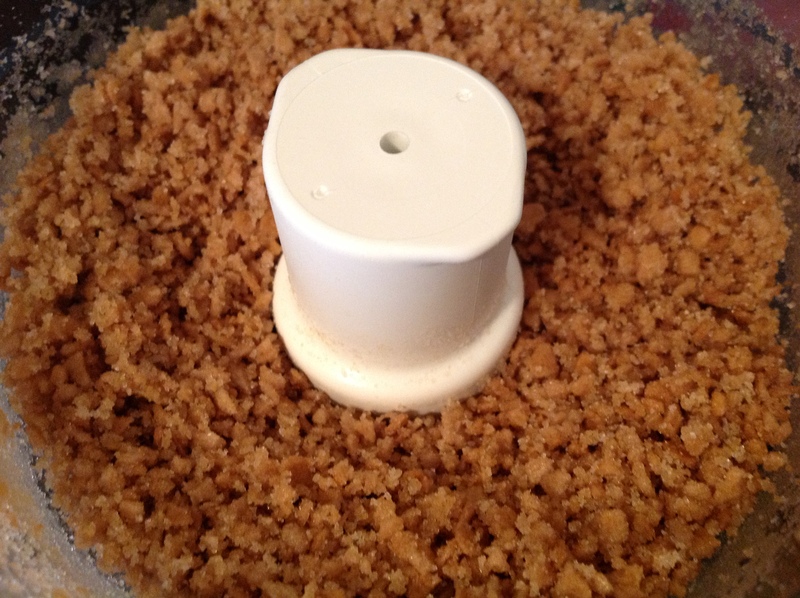 Use the bottom of metal measuring cup to press the crumbs well into the pan. 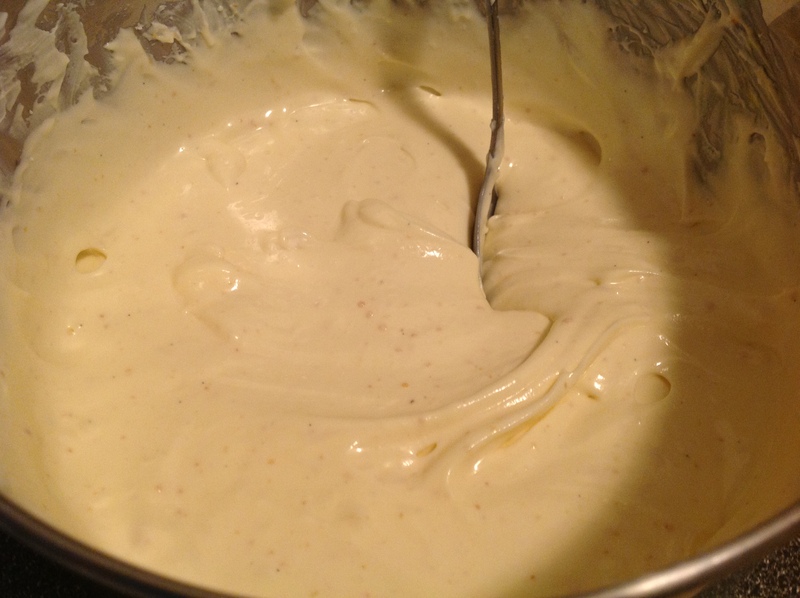 Beat together cream cheese, sugar, flour, and citrus zest with an electric mixer until smooth. 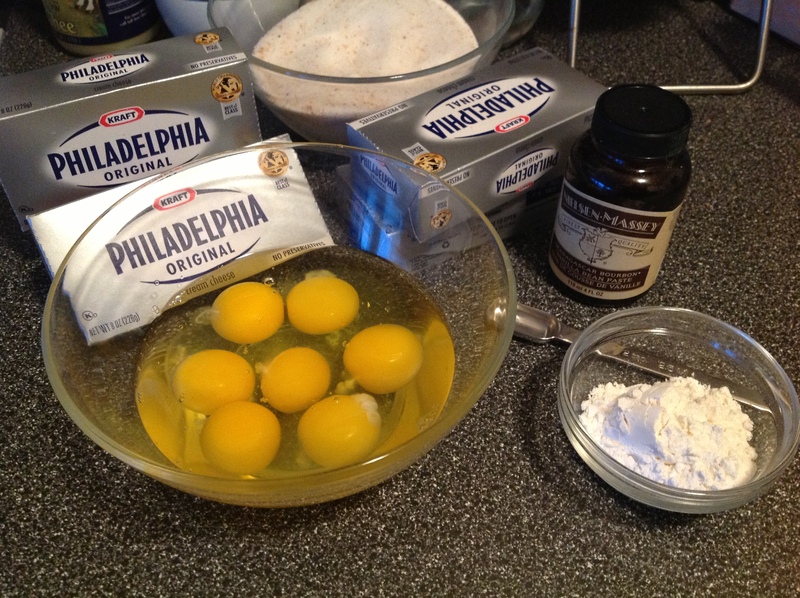 Add eggs and yolks, one (1) at a time, then vanilla, beating on low speed until each ingredient is incorporated and scraping down the bowl between each addition. Set spring form pan with crust on a half sheet pan (with shallow sides). Pour filling into crust (spring form pan will be filled to the brim) and bake on sheet pan (to catch drips) in middle of oven for 12 minutes, or until cheesecake is puffed. 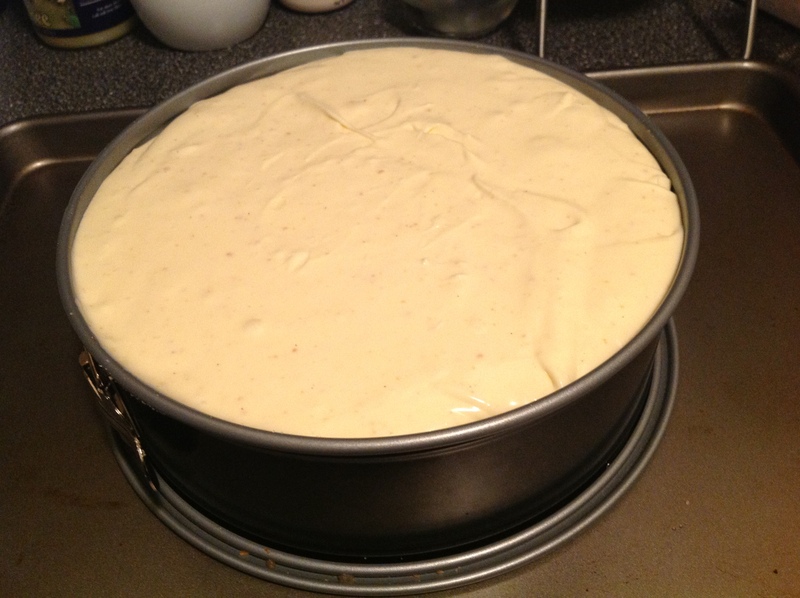 Reduce temperature to 200°F and continue baking until cake is mostly firm (center will still be slightly wobbly when pan is gently shaken), about 1 hour more. Run a knife around top edge of cake to loosen and cool completely in spring form pan on a rack. Chill cake, loosely covered, at least 6 hours. Remove side of pan and transfer cake to a plate. Bring to room temperature before serving. I love the idea of using crushed ice cream cones for the crust. Brilliant! Thanks for this recipe. I agree with Martha – Using the cones for the crust is an awesome idea! The cake looks fantastic – love the height! Thanks! 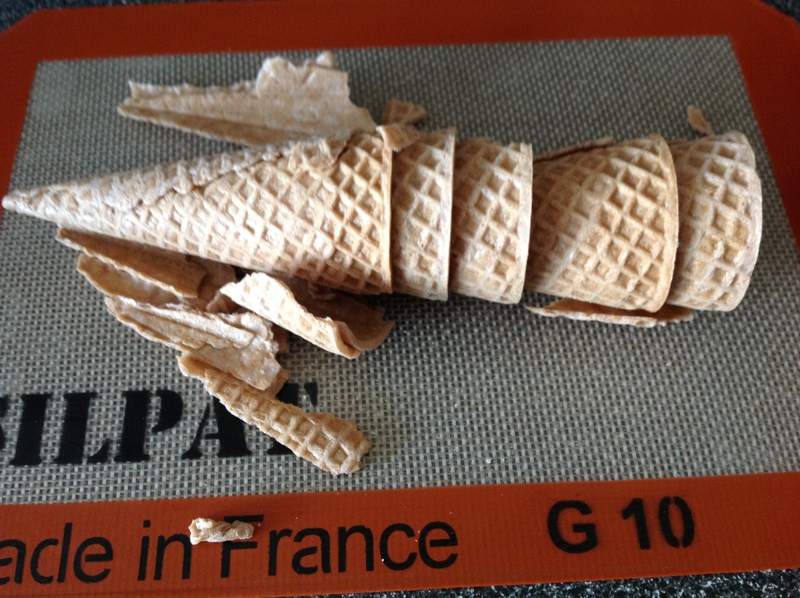 The cones give a great texture and flavor! I’ve used all kinds of cookies and cakes for crusts but the cones are my favorite for cheesecake.